With a meat tenderizer, bottom of skillet or ball of hand, flatten filets to 3/4" thick. Season both sides with salt and pepper (or Garli Garni). Heat heavy skillet over high heat. Add olive oil and 1 tablespoon butter. Add filets when butter is brown. Cook 2 minutes on each side or until desired doneness. 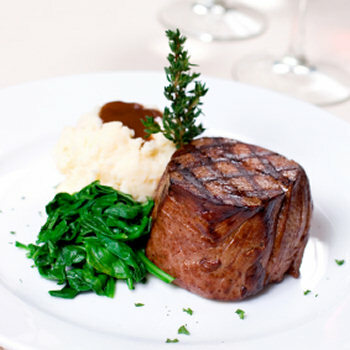 Remove filets and place on plate. Discard excess grease from skillet and add garlic, shallots and herbs. Saute for about 30 seconds. Add cognac and remaining butter and return to low heat. Stir mixture to form sauce. Pour over filets and serve.